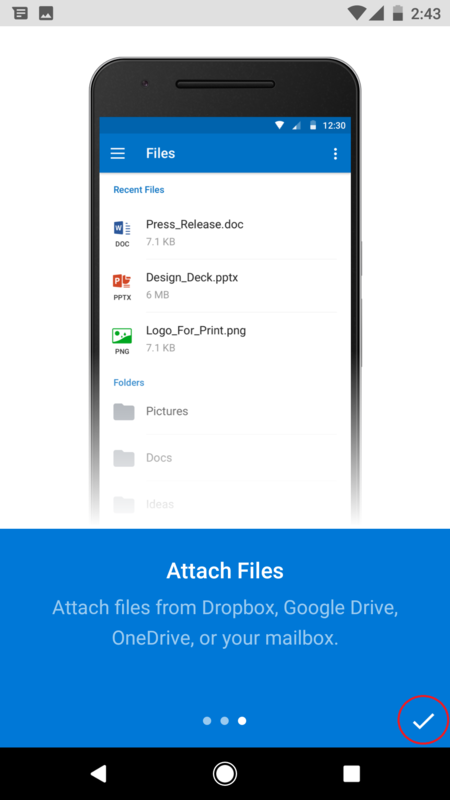 This page explains the process of configuring your iOS or Android mobile device to connect to the college's email system. We recommend using the Outlook App for checking your Etown email on your Android device, and these instructions include an explanation on how to download and configure that app. Step 1:Enter the Google Play store. 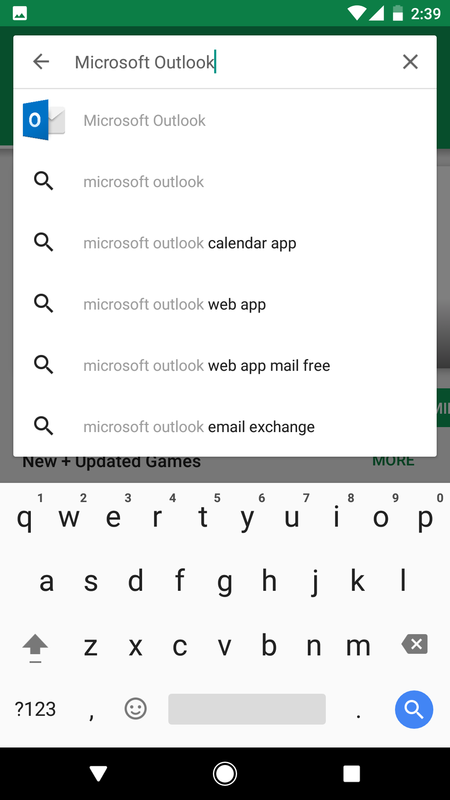 Type Microsoft Outlook into the search bar. 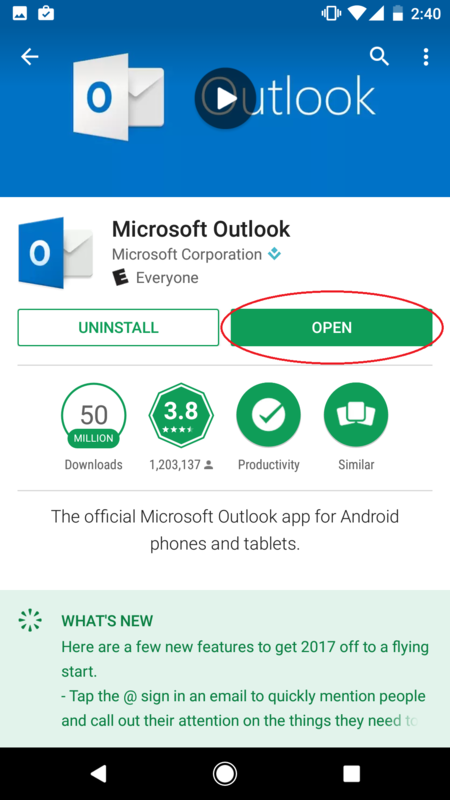 Step 3:When Outlook has finished downloading, tap Open. 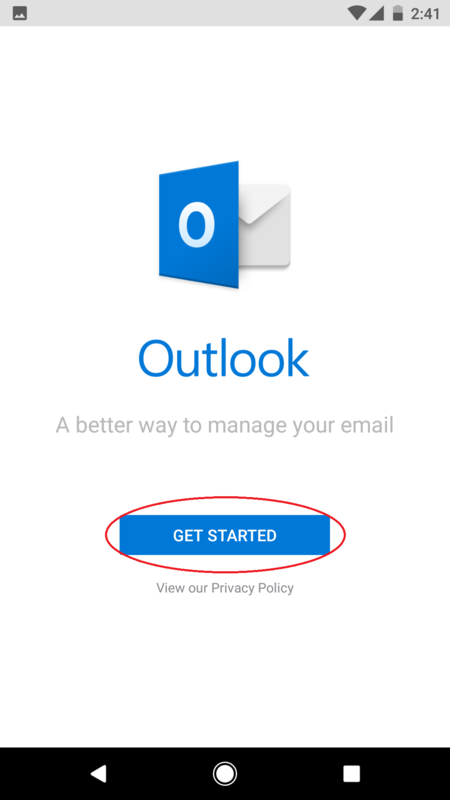 Step 5:Enter your Elizabethtown email and tap Continue. Step 6:Enter your password. Tap the check mark. 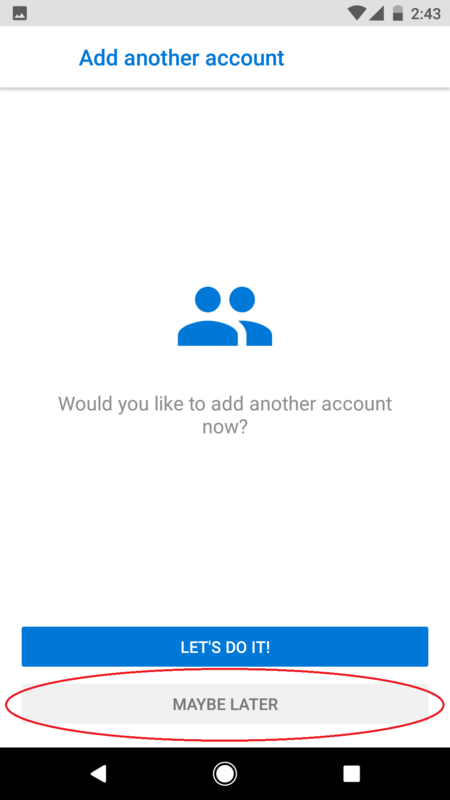 Step 7:The app will prompt you to add another account. Tap Maybe Later. Step 8:Tap through the brief orientation, and then tap the check mark. Step 9:You will now be able to see your Elizabethtown email. You may want to turn off Focused Inbox before closing the app. Step 1:On the iOS device home screen, tap Settings. 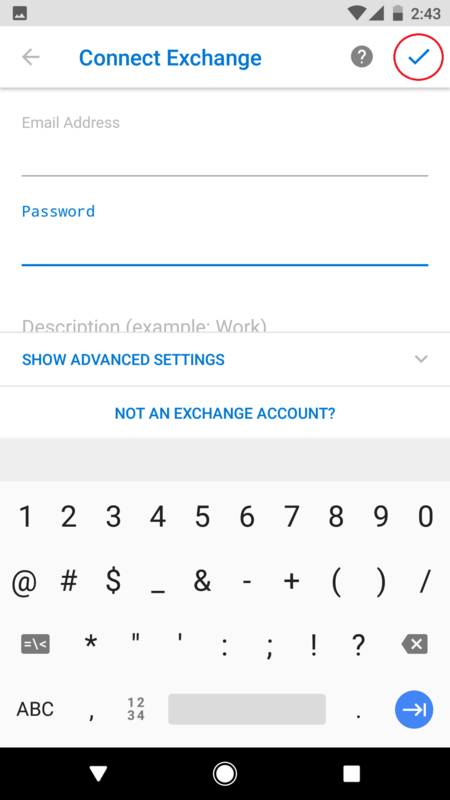 Step 2:Select Accounts & Passwords. 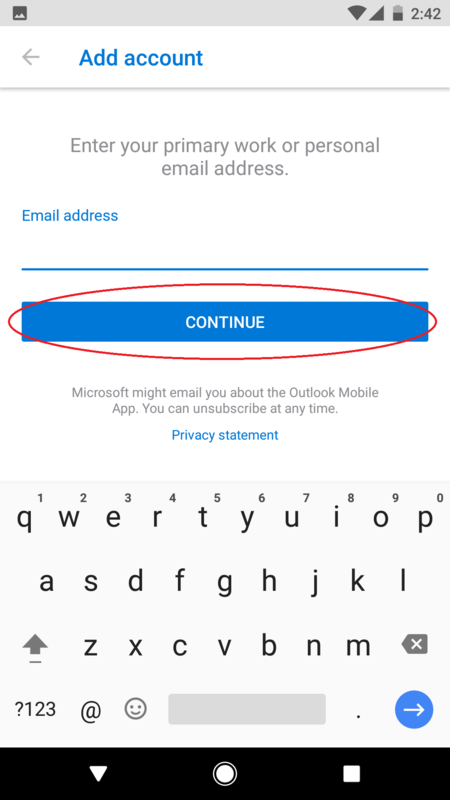 Step 5:Enter your email address and tap Next. Step 5:Enter your email address and password, and click Sign In. 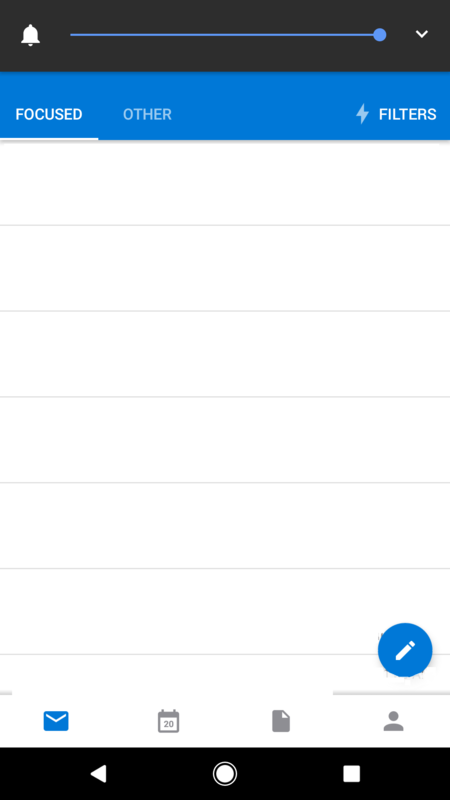 Step 6:After the account is verified, you can choose which mail features you would like synchronized with your iPhone. We recommend leaving all four settings turned on. Tap Save.